Cloud application infrastructure services, or platform as a service (PaaS), will see the second-highest growth rate at 21.8 percent. More than a third of organizations see cloud investments as a top three investing priority according to recent surveys from Gartner and this has significantly impacted market offerings. The firm expects that by the end of this year, over 30 percent of technology providers' new software investments will shift from cloud-first to cloud-only. As a result, license-based software consumption will plummet further while SaaS and subscription-based cloud consumption models continue to rise. 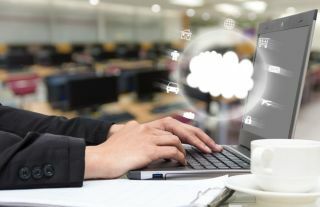 Spending on cloud-related services, such as cloud consulting, implementation, migration and managed services, currently makes up 19 percent of organization's cloud budgets but Gartner expects this rate to rise to 28 percent by 2022.